Basically a book about the limitations of GDP and how GDP is difficult to calculate for developed countries as developed countries are increasingly becoming service economies. GDP for developing countries is also difficult to calculate and the author hypothesizes that GDP in developing countries is actually being underestimated. The main premise of the book is that policy makers should look beyond GDP figures as the be all end all since GDP has limitations. Instead he likens it to a car dashboard where the GDP is the speed of the car but you also need to know how much fuel you have and the temperature to see how the car is tracking. Therefore, policy makers should also include GDP per capita, median income, inequality, net domestic product, well being and CO₂ emissions instead of primarily focusing on GDP. The author shadows 8 entry level investment bankers from firms including Goldman Sachs, Bank of America Merrill Lynch, and Credit Suisse. It was an enjoyable book where the three year timeline coincided with the Occupy Movement. Spoiler half of the 8 entry level investment bankers left the industry after two years. The book questioned whether the financial industry will continue to attract the best and brightest young talent in the future and whether the GFC will have any lasting culture changes on the finance sector. This was an excellent read and makes you put life in perspective! Xu Hongci was a communist member studying Medicine but he became disenchanted with some of the policies of Mao Zedong and when he shared his constructive criticism with party members he was labelled as a revolutionary and sent to 20 years prison working in a labor camp. Trivial offences were enough to land anyone in prison. For example two 10 years old were sentenced to 12 & 15 years in prison for writing 'Down With Mao Dezong' on a toilet wall and craving 'Down with Mao Zedong' on a pumpkin respectively. It's estimated that between 50-70 million Chinese citizens died during Mao Zedong's tenure. Many of these deaths were due to malnourishment and starvation as a result of Mao's policies of turning arable farmland into useless backyard furnaces. Conditions in the labour camps were even worse as prisoners were forced to do manual labour for 20 hours a day and fed with one meal a day- a bowl of rice. Prisoners often died of starvation and disease from squalor living conditions (sleeping on the floor 10 in a small cell). The ones that didn't die of disease or starvation were beaten and tortured depending on how sadistic the prison management was. Xu spent 14 years in a labour camp until he managed to escape to Mongolia. Of the 550,000 labour camp inmates he is one of the only people (if not the only) who escaped and avoided recapture (execution was punishment) to tell his tale. 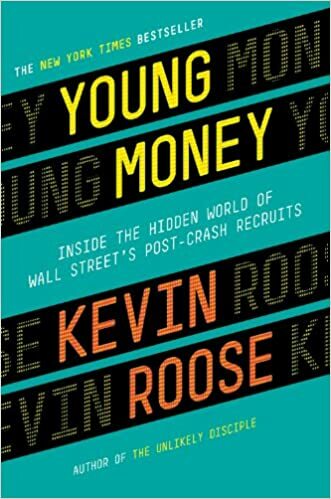 Reading Xu Hongci's biography after reading 'Young Money' by Kevin Roose exemplifies the hedonistic treadmill all of us are on as humans. Xu spent most of his life starved, exiled and in parts tortured despite being a doctor (he was studying Medicine but often worked/assisted doctors in the labor camps). After escaping the labor camp he fled to Mongolia and worked as a laborer for many years but was happy as he had his freedom and enough money to live on. In comparison in 'Young Money' we have Ivy League graduates earning 200k USD a year feeling miserable as they question their value to society, and the hours and dedication spent to their jobs prevent them from maintaining relationships with friends/family. 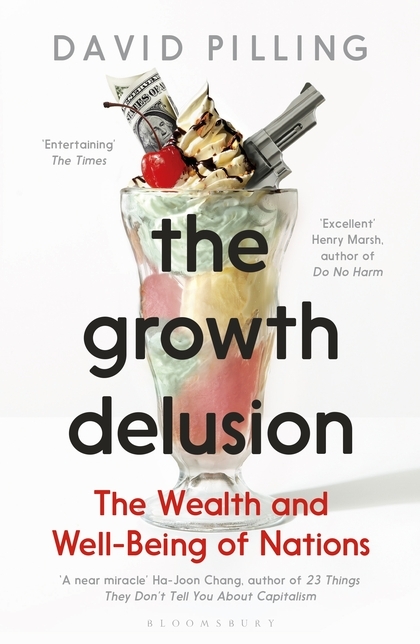 yo if you're interested in the growth delusion, check out doughnut economics, by kate raworth. goes way beyond the limitations of GDP to suggest an entirely new set of metaphors and basic measures for economic health. Thanks LBSS I love reading books about economics. The book sounds interesting. I'll see if my local library has it (if not I'll ask them to order a copy). Since 2007 no Australian Prime Minister that has been elected has sat out a full term. We've had 5 Prime Ministers in the last 12 years. 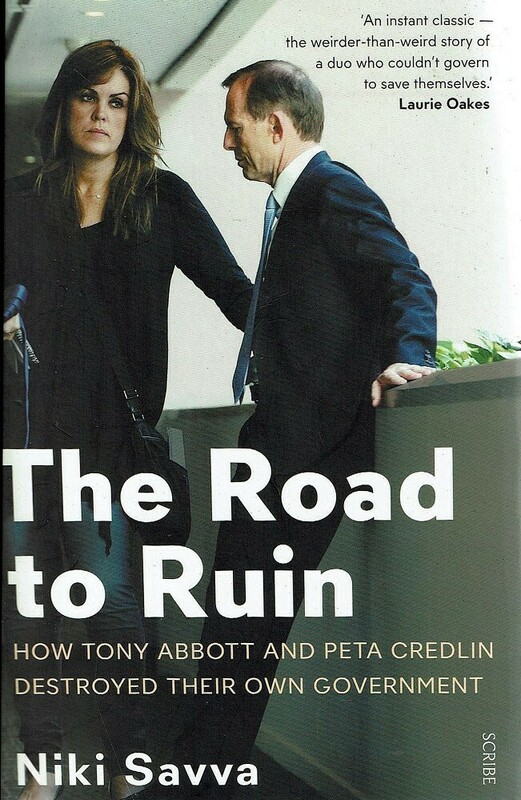 Abbott was always a divisive figure but this book gave great insight into all the issues behind the scenes, which were predominantly his manipulative chief of staff Peta Credlin who he refused to get rid of. Incredible book! Karl Marlantes is a very smart man and articulates his war experiences brilliantly. In 1968, at the age of twenty-three, Karl Marlantes was dropped into the highland jungle of Vietnam, an inexperienced lieutenant in command of a platoon of forty Marines who would live or die by his decisions. Marlantes survived, but like many of his brothers in arms, he has spent the last forty years dealing with his war experience. 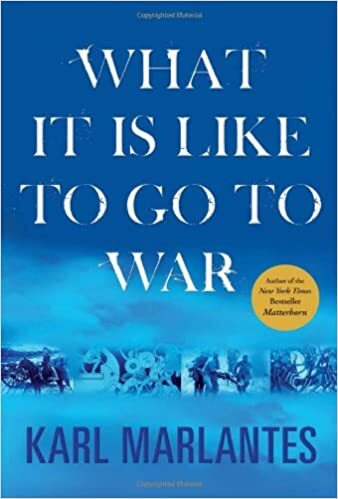 In What It Is Like to Go to War, Marlantes takes a deeply personal and candid look at what it is like to experience the ordeal of combat, critically examining how we might better prepare our soldiers for war. Marlantes weaves riveting accounts of his combat experiences with thoughtful analysis, self-examination, and his readings—from Homer to The Mahabharata to Jung. He makes it clear just how poorly prepared our nineteen-year-old warriors are for the psychological and spiritual aspects of the journey. Another book by Karl Marlantes. This is a detailed war experience from Karl Marlantes who was an Infantry Officer in the Vietnam War. It's an incredible book that makes you feel like your in the harbinger jungles of Vietnam. 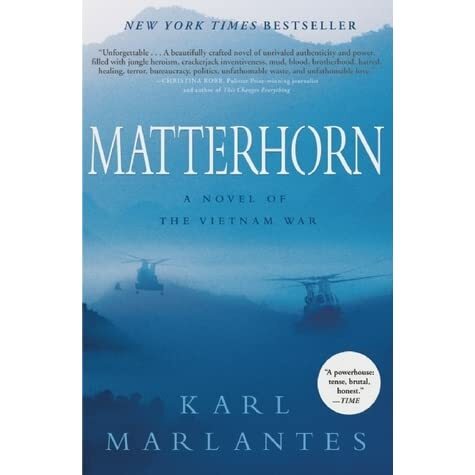 The title is called Matterhorn, which is named after a platoon that Marlantes lost half his platoon in seizing, which was ironic as they had previously seized the same hill only to be ordered off elsewhere. if you're interested in books about war, which would make sense under your current circumstances, have you read The Things They Carried? classic. also svetlana alexievich's oral history of soviet women combatants in WW2, The Unwomanly Face of War, is one of the best things i read last year.